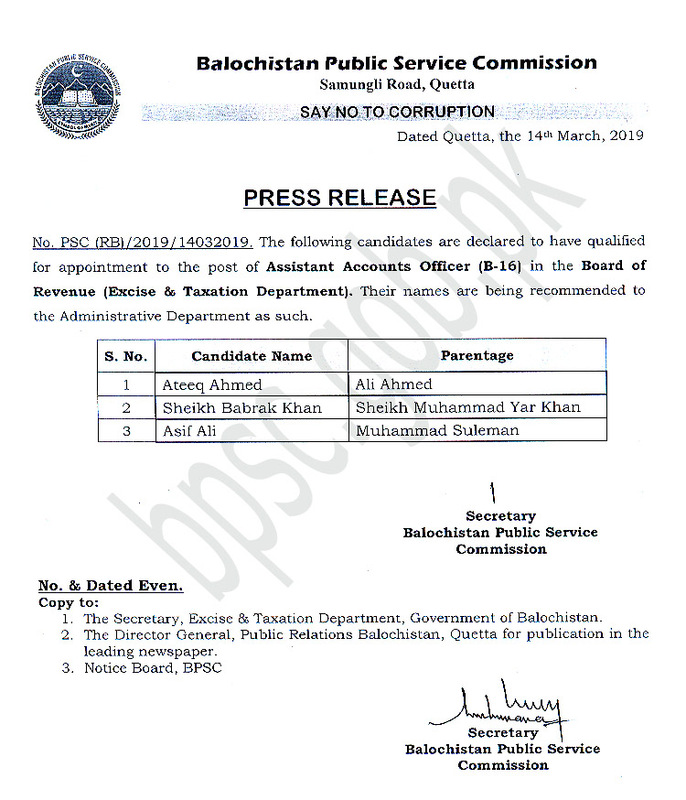 Baluchistan Public Service Commission is established in 1973 with the mission to provide professional and eligible candidates to the civil service of the province. The candidates can get the information of the existing job vacancies in the different departments of the government and apply to appear in the written test of the BPSC. When they qualify in the test, then they are called for interview and medical examination. 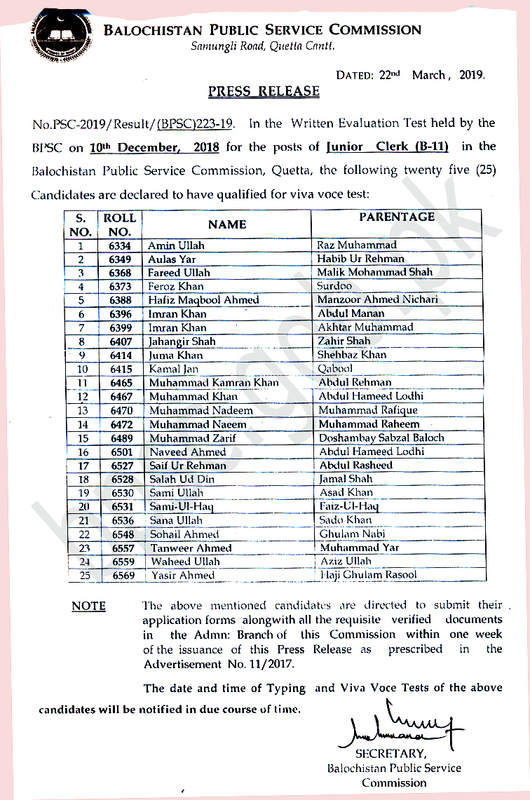 The final selected candidates are appointed on different existing vacant posts according to their education and requirement of the departments. BPSC also conducts the departmental exams of the candidates and the exams of the posts falling in grade 16 separately. 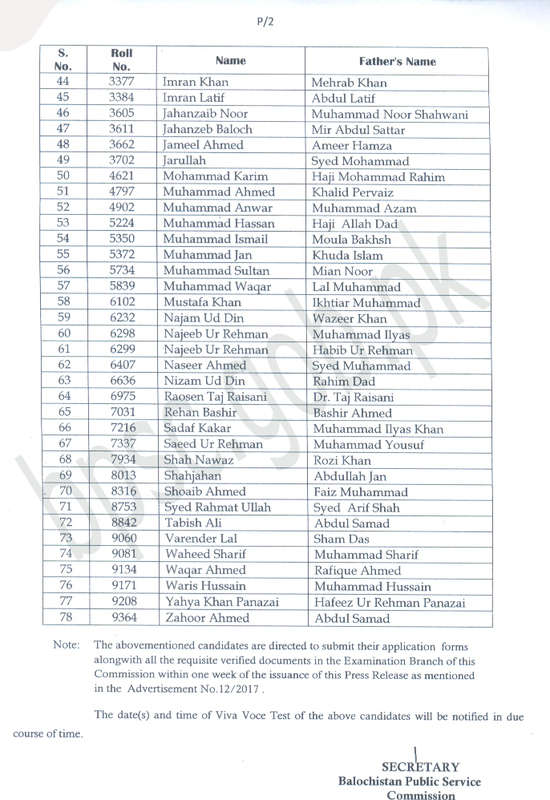 After finishing of the exams, BPSC results of the competitive and other departmental exams are prepared, which are announced and display on the official website www.bpsc.gob.pk for the information of the candidates. The results of the exams are also uploaded on this page to provide complete information of the exams results and the candidates should visit this page repeatedly to get the latest updates of their results. Hi sir! 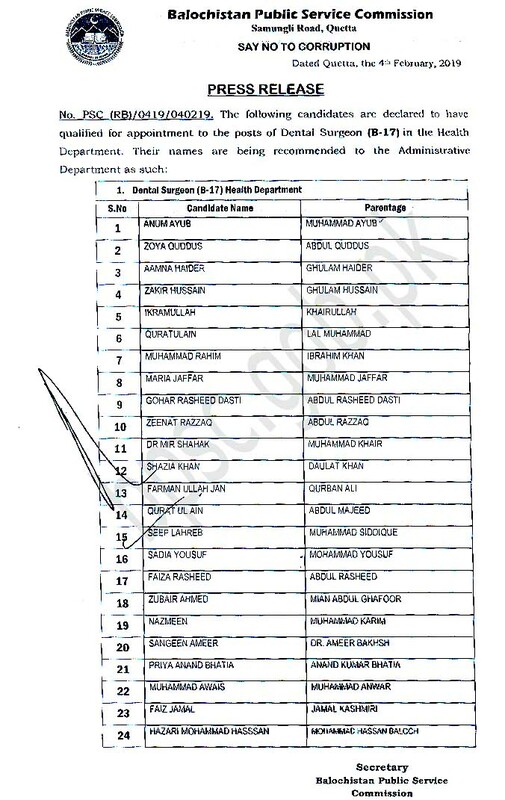 Social welfare officer k post kab announce hongy? I am awaiting for result of sst science female sir. Kindly update the expected date. When sst science female,s result is expected. Hi sir! 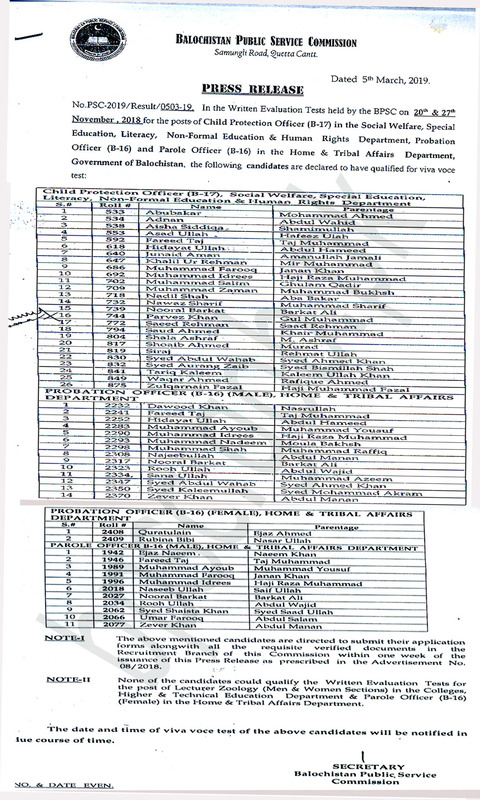 Assistant commissioner ka result kb aye ga.
asalam u alekum sir i am saqiba imam. ma ny assistant director admenestation in finance department . k leay test dia ta . 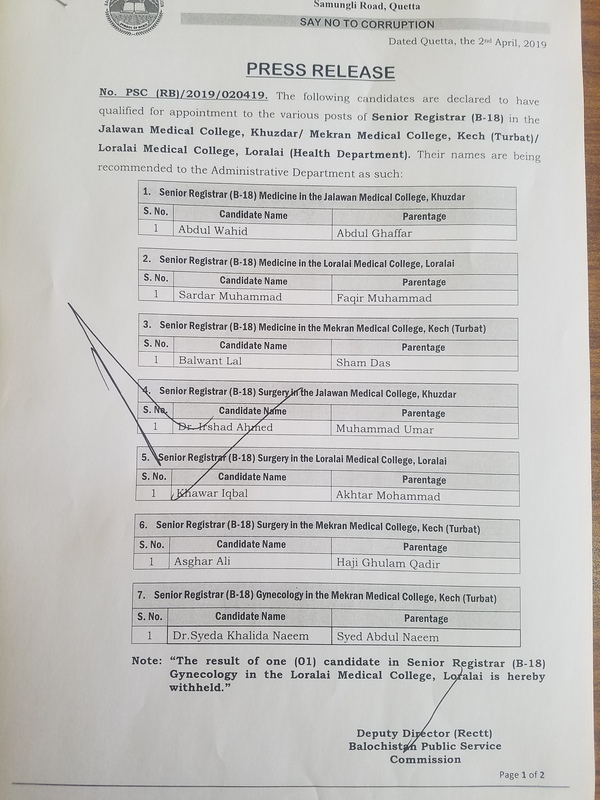 result ap mujy btayn gy. jo k 24 may ko oha ta . BPSC is the only marit based and hopeful way for the candidates who want to chase their goals. When should the declaration of Assistant Commissioner/Section Officer exam result held on November 2016 possible.? Any one please help me in this regard. where to get information about it.? 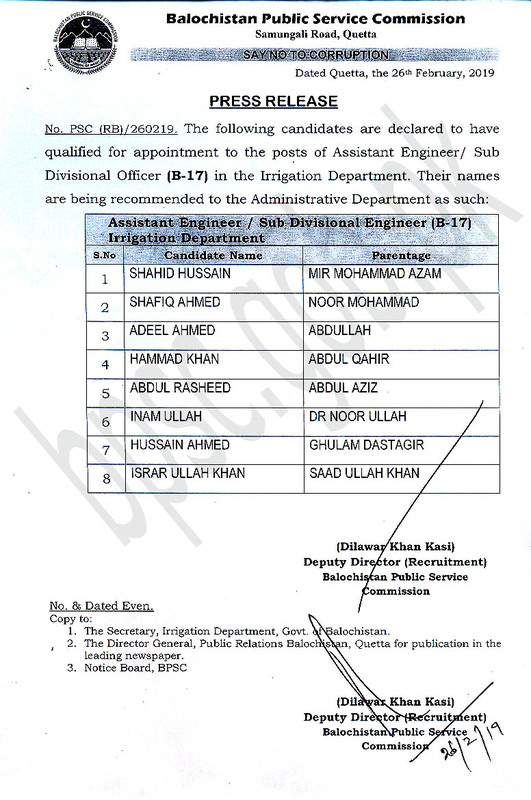 Dear Sir Most respectfully we want to Information about the Assistant Director(Technical) Mining Department BPS-17. It's so helpful web. And I want to that what about the result of sst (G)2015.